We received lots of questions from our West Nile Virus Alert and thought it best to provide additional information on vaccines. Most of, these illnesses compromise the immune system. Thus, by vaccinating you are stressing the immune system further. “It should be recognized that: Administration of multiple vaccines at the same time may increase the risk of adverse reactions. Some horses experience local muscular swelling and soreness or transient, self-limiting signs including fever, anorexia and lethargy. Severe reactions at sites of injection can be particularly troublesome, requiring prolonged treatment and convalescence. Systemic adverse reactions (such as urticaria, purpura hemorrhagica or anaphylaxis) can also occur. An important point to remember is -Any animal can react to any vaccine at any point in its life. Vaccination risks In addition to their core component, live or killed pathogens, vaccines contain an adjuvant designed to enhance the immune response. These adjuvants typically act as irritants, inciting an amplified and accelerated response to the killed or weakened virus. Although relatively small in quantity, adjuvants, like mercury, arsenic and aluminum are foreign materials with potentially dangerous consequences. The body does not naturally purge heavy metals like mercury and aluminum – thus they continue to accumulate over a horse’s lifetime. Once these heavy metals accrue to relatively low levels, serious illness can occur, including neurologic disorder, kidney failure and colic or digestive distress. You can test for heavy metals by doing a Equine Hair & Mineral Analysis. 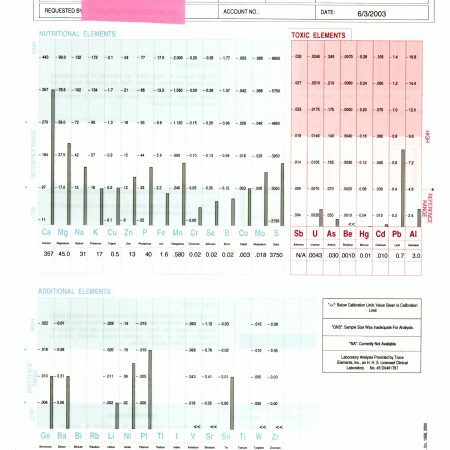 For more information on the benefits of hair and mineral analysis visit our website under Why Hair Analysis. “Core vaccines have clearly demonstrated efficacy and safety, and thus exhibit a high enough level of patient benefit and low enough level of risk to justify their use in all equids.” In other words, core vaccines are a safe way to protect horses against dangerous diseases that carry a high risk of exposure. Vaccine Protocol – Balanced Eco Solutions has developed a vaccine protocol that helps your horse get the best results from vaccines. 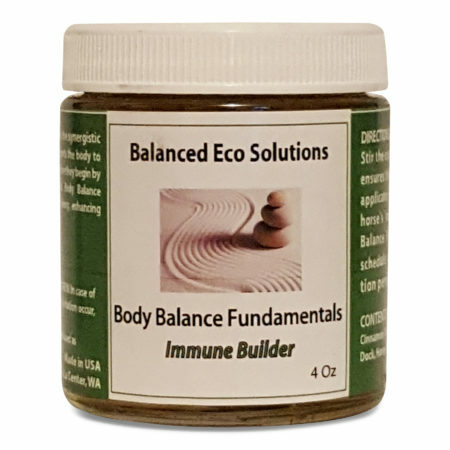 Using the Body Balance Immune Builder daily the week before, during and after. This helps your horse in several ways. First by building their immune system naturally, Second as it responds to the vaccine. Third by supporting the kidneys and liver in processing the vaccine / virus residue out of their system. 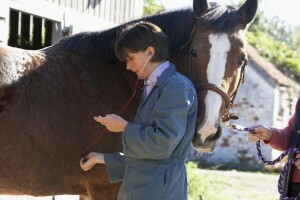 To vaccinate or not is the horse owners personal choice. It must be done responsibly and not on auto pilot. As you decide, ask yourself this question – Why do I vaccinate my children once for some diseases that will last their entire life time yet we feel the need to vaccinate our horses every year and sometimes twice a year for the same disease? Hopefully I have shed some light on the topic.